Thai dating site or Thai dating app ? Are you going to Thailand and wish to start a serious relationship with a Thai woman? Or you are just simply attracted by Asian women and you want to meet them? Have you ever tried dating apps ? I got the idea for this article while surfing on the web. And I noticed that many dating sites are offering the possibility to date Asian women but only a few are dedicated to Thai women only. However, the destiny gave me the opportunity to meet myself a Thai woman while I was trying one of these sites ThaidateVIP. And to be honest with you, I found the story rather positive and different from the experiences I had in the bars of Pattaya or in the clubs of Phuket, which are mostly one-night stand. At night, you will often meet girls who come from the poor region of Isan in the northeast of the country and they are here, because they have no choice and need to find customers to support their families. Of course, you also have bar girls who have found a farang and are in a stable relationship, but it will remain girls you need to take care of financially. While on the internet, girls are at home and are not consider as bar girls, so they feel safe and they don’t need to be scare by farang judging them, as it can be in the clubs or bars. In addition, girls from dating sites have a proper job and earn some money by themselves. They will even offer you breakfast or whatever sometimes! Also, the proportion of Thai women on this kind of dating site is incredible, we are far from popular websites like Meetic, where the numbers of men is impressive, which means more competition for you and less interest from women who are overwhelm by messages. I ran a test to stay connected at the same time on 2 sites, Meetic and Thaidatevip, and after two hours, I end up with 40 messages of Thais girls against only 2 on Meetic. Moreover, the messages received are completely done by opposite profiles, on thaidateVIP, they are 10 years younger than me, and on Meetic, 10 years older. You might probably think that everyone is looking for his own preferences but to sum up the Thai dating sites are much more interesting and efficient. Every night you can have a drink with a different person while on Meetic you can wait days before the first date, which often end up by a last-minute cancellation. 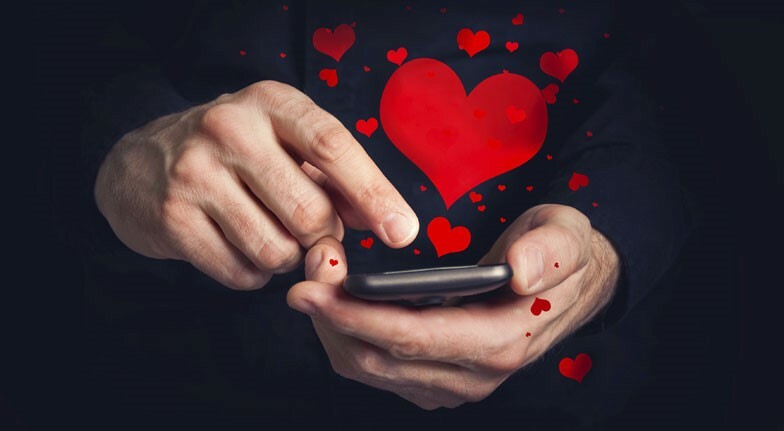 At first, you can think that the dating apps are a bit useless, because it is less convenient than a website to do a profile research for example, but when you just walk on the street in Thailand, you will see that all women walk with their smartphones in hand and especially women between 21 and 35 years old, which mean a great potential to chat with her on a dating app. So the best way is to register on the site and download the dating application. It will make your life easier and you will be able to communicate with a lot of women from the site. With the notifications you receive directly on your phone, you can keep chatting while going to your appointment. 80% of women in Thailand use a smartphone and very few are using a computer. Dating apps have become the normal way to meet people and ask them to go out with you. This gives an easier way to stay in touch with people. Because everyone is using dating apps now, it's a good opportunity that you cannot miss to meet Thai women. Alright, now you know a lot more about how to meet a Thai with a Thai dating app (more precisely). I want to point out that this is only my feelings about my own experience and from what I saw around me. To conclude, I wish you many good dates with Thai girls, and hopefully you will find someone suitable for you. You will see, being in a relationship with a Thai woman will be highly different than having a relationship with a Western woman. Do you want to start immediately? Give a try to this dating app, I just talked about, you will chat with a lot of girls even before your holidays in Thailand, and then you can meet them there.